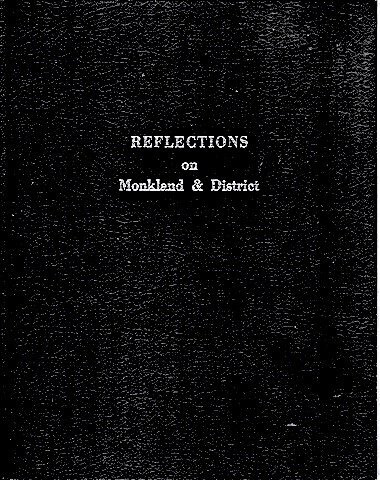 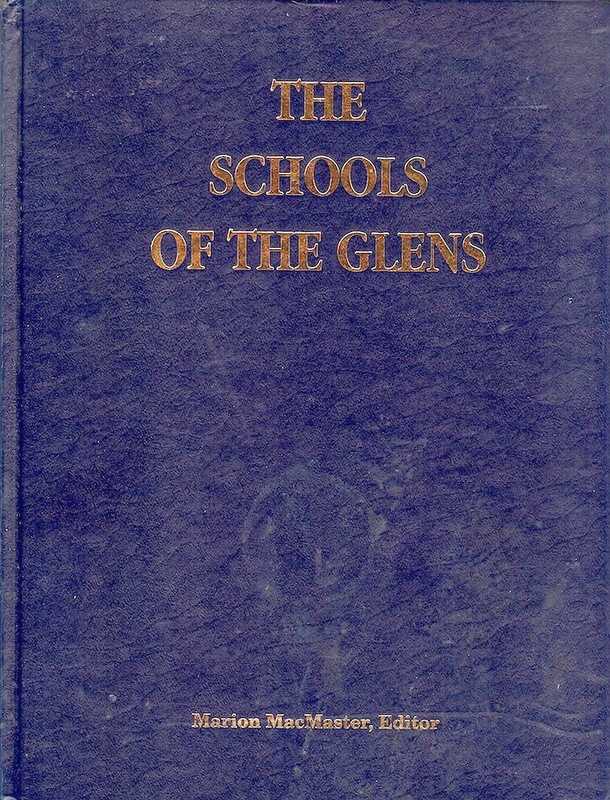 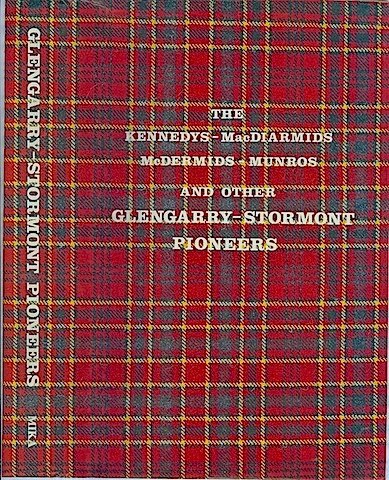 The School of the Glens,1992, Editor Marion MacMaster , hard cover, size 8 1/2" by 11", no index, many illustrations, various contributors make up the contents of this work, deals with the history of the Schools in the township of Lochiel, Kenyon and part of Prescott County. 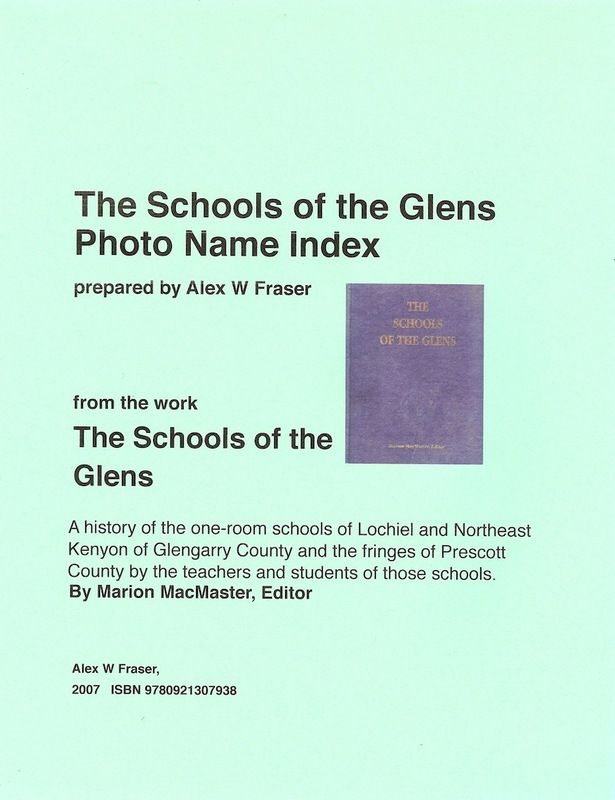 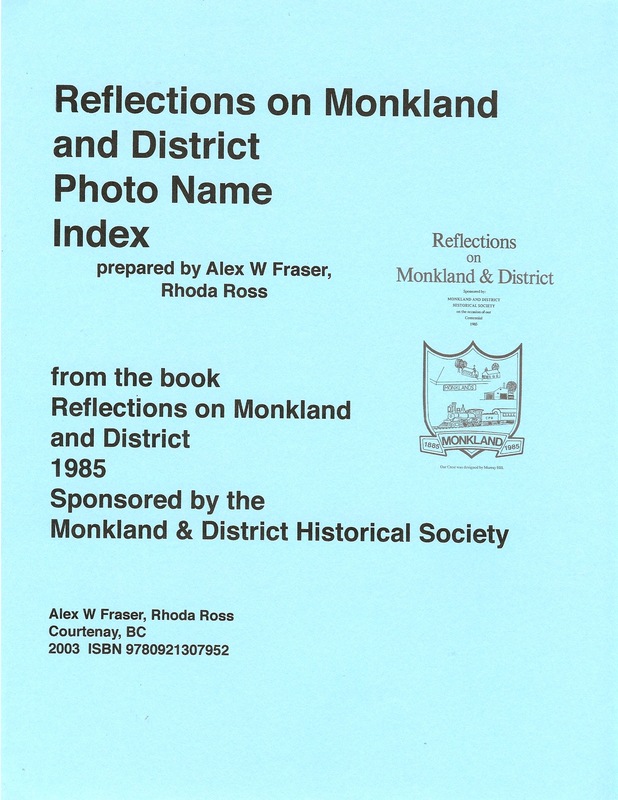 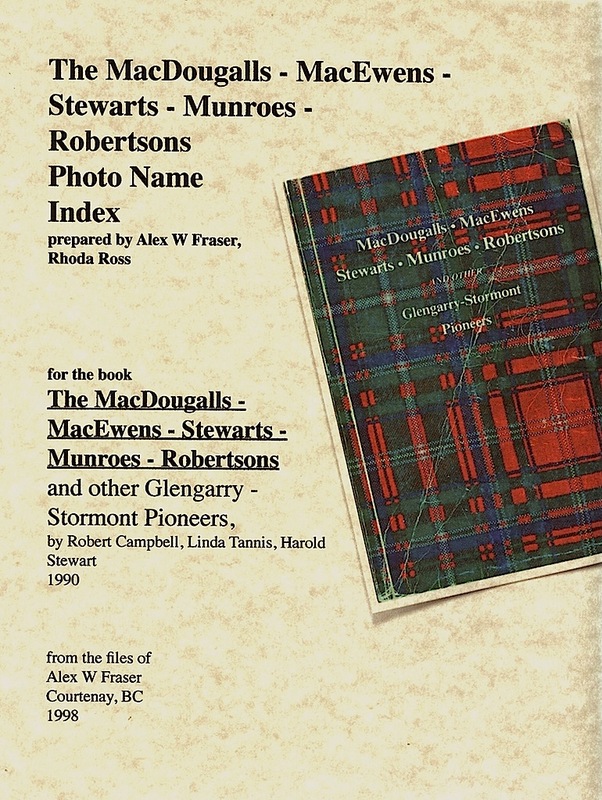 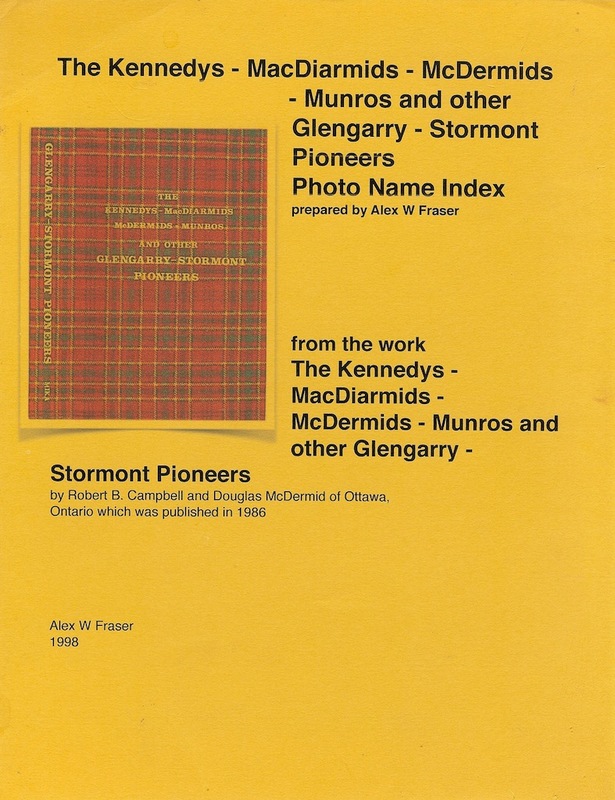 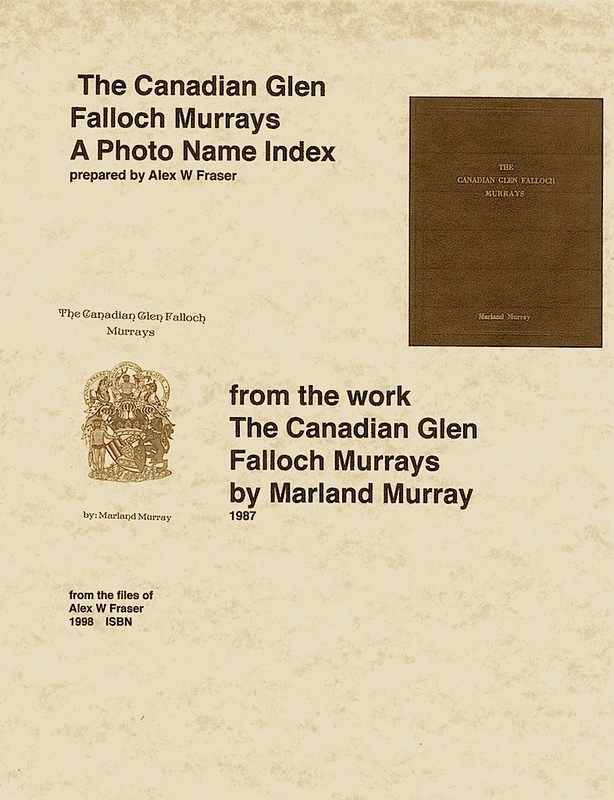 It is hoped that eventually more names from the Schools of The Glens will be indexed, so that a complete name index results. 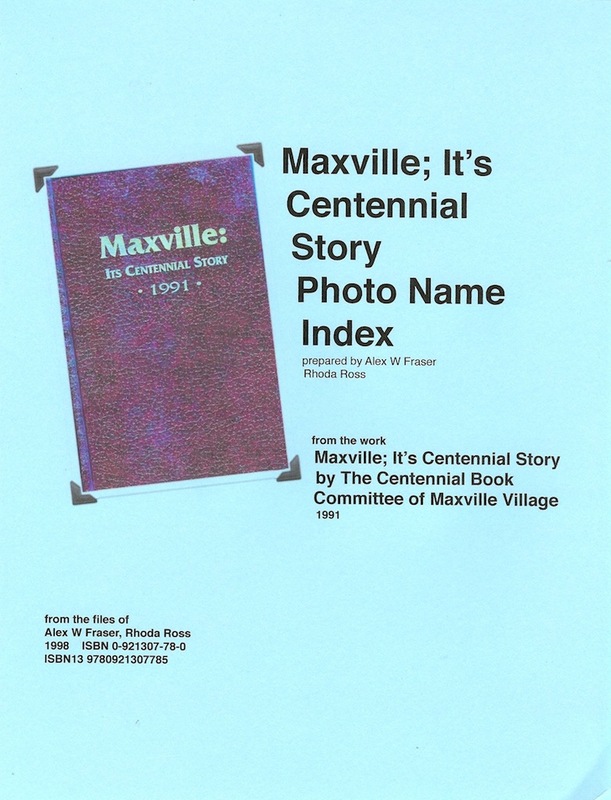 This photo index is the beginning. 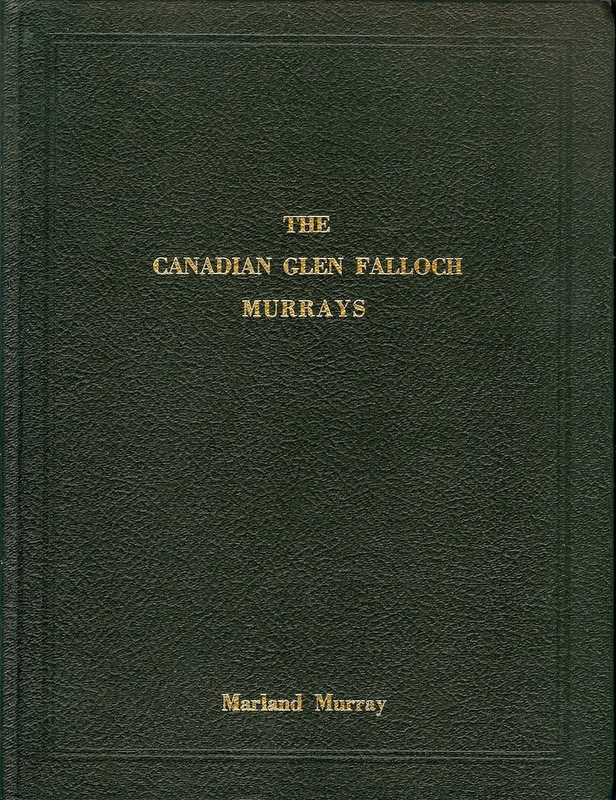 softcover, cerlox bound, size 8 1/2" X 11" about 92 pages. 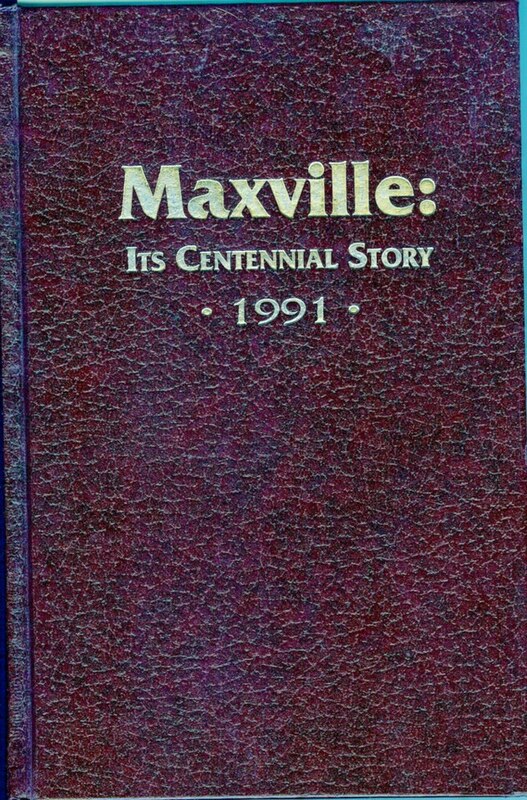 or direct deposit to my TD Account -- contact me on this. 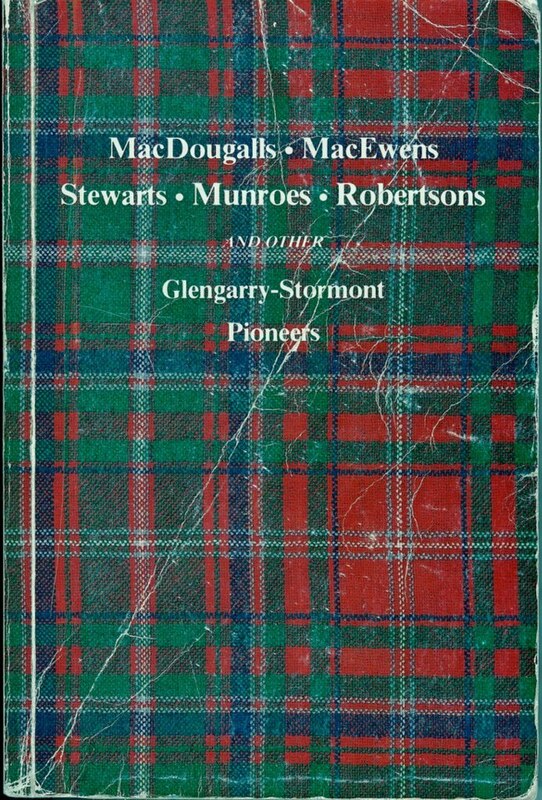 Kindly allow suffiecient time for delivery.